It was very easy to move in and out, and over all extremely friendly. Excellent! Love the drive thru units. I only had my unit for a short time, but I appreciated Deborah's Awesome customer service.I will recommend you guys to anyone. Vanessa has been amazing in making sure I had what I needed & Brittney is great too in helping we get things fixed and her customer service is tops! Love the facility & the staff. Great place and Great customer service. Highly recommend & if I ever need them again I will be back. Vanessa & the staff were always friendly and very helpful! I will definitely use All Storage again for storage needs in the future! 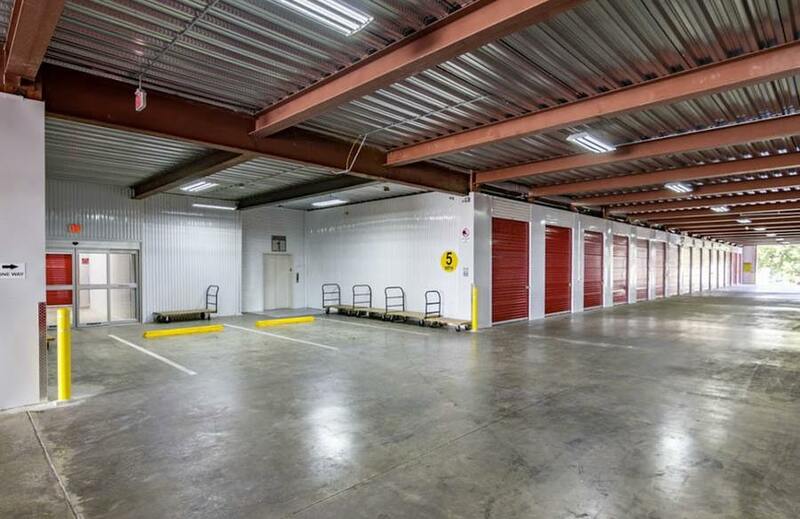 This storage facility provides excellent customer service as well a clean and efficient environment for your stored belongings. I would recommend All Storage to anyone in need of a storage space. Best experience ever! Greatest staff ever!! outstanding service and attentive, friendly staff. Excellent service & storage company to use. 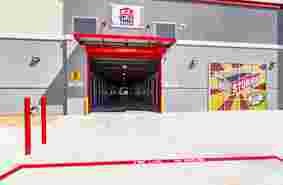 EXCELLENT STORAGE UNITS AND EXCELLENT HELPFUL EMPLOYEES!! We stored our daughter's household goods until her apartment was ready. I was very impressed with the set-up (drive-thru, carts, boxes, etc.) and with how clean it was! The White Settlement location is very close to a bunch of apartment complexes and it's easy to get in and out of. Awesome Facility. Just wish hours were extended. Awesome personnel, great workers with friendly & courteous ladies always smiling will miss them. All the employees at this location have been so sweet and amazing. Thank you for everything. Best storage facility I have ever used, I would definitely come back!!! All Storage is an excellent facility. Very clean. Amazing staff that is very knowledgeable. Very fair price and easy access to units. I love the unit, customer service was excellent. They took time and helped me choose the correct storage unit size. Love the staff very friendly. Easy access to the building and to mt unit. will refer others to use them. Vanessa is super friendly & helpful. A raise is on the horizon. VERY PROFESSIONAL & VERY CLEAN!!! EXCELLENT PROPERTY.!! I want to personally thank Vanessa at this location. Her inviting smile, friendly attitude and professionalism makes it a joy to use your facility. I always enjoy speaking with her whenever I'm at your facility or have a question or problem I need resolved. Her friendly attitude is infectious and welcomes friend and makes strangers seems like old friends. She setup my account and made sure I had no problems getting the two months free she called me and reminded me when my first payment was due and help me make sure my reoccurring payments were setup correctly. She is a true asset to your business!! Excellent customer service, very friendly & explained everything with great detail. Would recommend to others. GREAT SERVICE & GREAT PLACE. Great place to store your belongings. me moving was such a stressful ordeal & that lovely girl in the office Vanessa made getting a storage unit such a breeze. she helped me with everything from directions on how to get here to getting me the best (& biggest) unit for my budget. its also close to the elevator!! i will be here for a good while & i for one am happy that my stuff will be in a safe clean climate controlled facility. i recommend any one who needs a unit to store with this company they have the best staff & facility for you to store your things!! I cannot get over how pleasant the girls in the office are. They were helpful and helped us find the right space that works with our needs. Thank you All Storage for making our move easy and affordable! We had a great experience renting our unit! The girls in the office were super helpful. I was very impressed with everything about this. Good prices, great deals, and helpful staff. Who would thought the nicest building in White Settlement would be a storage facility!! Friendly! Informative! Excellent customer service! Vanessa was extremely accommodating to my needs and took the time to get me into a unit that worked for me. %1000 would recommend!! The Salazar's are very happy with the rates. Very clean and secure place. Miss Raylene was very informative and polite. I will recommend this business to everyone we do business with. Vanessa & Raylene are the best and they are so friendly and care about their customers needs and the facility is so clean I would recommend all storage white settlement to anyone because going to this place you will never be dissatisfied. I will definitely come here in the future if I ever need storage!!! Raylene was very friendly and super helpful. Storage facilities were nice and clean. Very pleased! This storage facility is so bright and clean. Raylene offered excellent customer service when we rented our unit. She was friendly and knowledgeable, and had patience with all of our questions. Would highly recommend ! I was here earlier this afternoon helping a friend move. First of all the unit is clean and well lit. Secondly, they have dollies available to move your stuff which makes moving quick and efficient. We had some questions regarding changing our locker and the front desk staff, Vanessa, was friendly, extremely helpful and professional. I would recommend this business establishment without any reservations. Thank you Vanessa for all your help! Just wanted to say Vanessa and Raylene were wonderful and extremely helpful to me getting the right size unit for my needs. I highly recommend this facility to store your things very nice and clean good prices. I've rented storage units in six cities across five states. This is by far the cleanest, most modern, and best well run facility I've ever used. 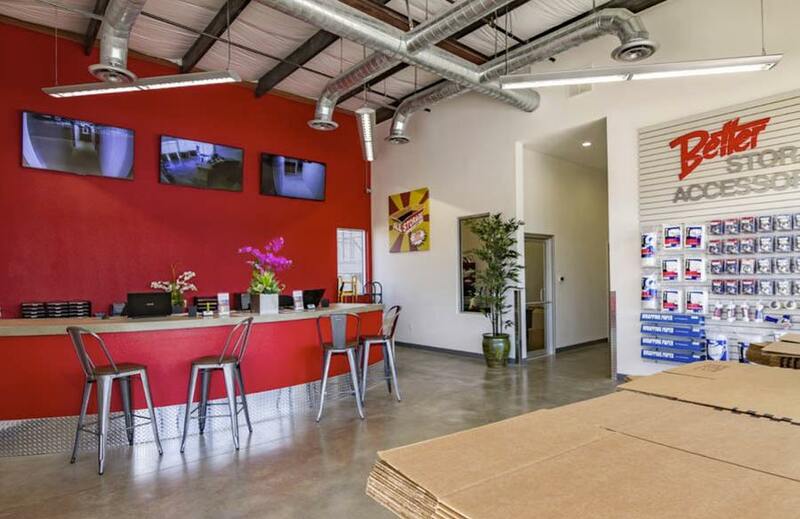 "Raylene," (the manager on duty) made my rental sign-up experience quick, fun, and easy. She took the extra time to walk me to several units to help me pick the best one for my needs. I would recommend this facility to anyone. This is the second time we have trusted this place with our belongings. We love it. 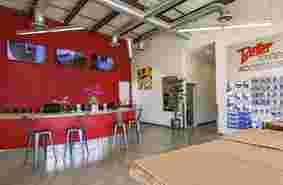 Its super clean, with a very friendly and helpful staff. Special thank you to Raylene, who has always been so so helpful to us, she took care of everything for us! I was very impressed with everything about this facility and the staff Raylene was very knowledgeable of her job. Good prices, great deals. Who would thought the nicest building in White Settlement would be a storage facility!! Locked in a storage with all storage. Raylene was awesome! She helped me get the perfect storage. Shes very nice and helpful. I definitely recommend All Storage and Raylene to help you out! Raylene provided great customer service assistance in helping me find the perfect storage unit to store all my belongings. It was a simple and easy process. Came back a second time and got awesome service from Vanessa. Easy as pie every time. This place is awesome! Vanessa did a great job showing me the different options to fit my need. All Storage White Settlement has excellent customer service, clean and air-conditioned units, and it definitely beats the other places in town. They give you a great deal compared to local competitors. I highly recommend this place and working with Vanessa. Great experience! Raylene helped us out today. She was so nice and so helpful! We would definitely recommend going here. This place is awesome! Raylene was so helpful and friendly! I am not hesitant at all to leave my stuff in her capable hands! The building and units are clean and there are cameras everywhere to make sure your stuff is well taken care of! Thanks All Storage, and thanks Raylene!! Hands down the best storage unit to use. I got a tour of the place and it was really clean. The customer service was probably the best I have ever used. It was like talking to my own family. It was nice. I highly I highly recommend this place!!! Vanessa and Raylene were such great help today, even though I was being so uncertain, they walked with me all over the facility showing me different size units and trying to find the right fit. As we walked around I could tell how well they take care of the facility. Sign up was so easy and very well priced for the unit. Thank you! Raylene provided great customer service assistance in helping me find the perfect storage unit to store all my belongings. It was a simple and easy process. Over two years of storage I can definitely say they have excellent customer service and staff very clean units. Great and very clean facility! Raylene was a great help this morning, she took her time answering our questions and saved us money as well. I have peace of mind having my items there. I had a great experience thanks to Raylene for her wonderful help. Such a friendly atmosphere!! VANESSA CAME TO MY RESCUE! Long story short I had to move my entire life very quickly and DFW All Storage in White Settlement was the closest to my new bedroom that I was moving to all the way from Hurst. Vanessa was the only person and manager who was there 5 minutes before closing and since I was new to the area I had no idea. SHE STAYED FOR ME AND MY THINGS so that I could move into the unit. I know working in a retail environment comes with it's hellish customers and I know that this situation was definitely that. Vanessa came to my aid and truly did me a solid by giving her time to me. I will be forever endebted to her. The facility itself was very nice, easy to access, and provide the flatbed push carts at every elevator! But really Vanessa is what made my move drama free. Employee of the Year right there! Thank you DFW All Storage White Settlement for hiring superb individuals with really large hearts! Vanessa was the absolute best. Her professionalism and friendliness knows no bounds. I would recommend this facility to any and all in need of storing their belongings. I love this place! Raylene and Vanessa are the best and make it welcoming and such an easy process!! Hope they stay at this place forever and I will be recommending this place to friends and family! Nice place, and staff. Fairly priced. Only needed storage for a little over a month and first month was free. Paid prorated days. Very much worth it. Would suggest to anyone in the area! Always clean so they must lease space to a good class of people. Having this company finish the initial Construction of the building is a vast improvement over the eye sore of red iron only skeleton frame where the first developer stopped. Wonderful experience with this facility. And it was super easy to get to from the Hwy. I would definitely recommend them. Go online to get better deals on any unit, reserve it, then just go to the place. The girl that helps with payments is very nice! Pretty nice place. I door loading and unloading!! Great storage units and prices. Carts always available. Clean and well run. Nice building friendly staff, only downside is you have to go during business hours. Meaning if they are not in the office you cannot get to your unit. Deborah was amazing. She took a lot of time helping me find just the right unit. Extremely clean. Friendly staff. All Around great experience. Hands down better than any other storage facility in the area. I am about to move into an apartment but not before my next month is due. Vanessa was more than helpful and extremely courteous. And I needed a smaller unit to clear some space to move the bigger items and in case apartment wasn't big enough for all of my nonsense and dork doo dads. Vanessa helped me find the best deal! She was super sweet and curse that printer for giving her problems! If you’re looking for self-storage in White Settlement, look no further than the best site in the area with all the features you could possibly want. All Storage in White Settlement offers the longest list of amenities you will find in the Fort Worth area, including all the security and convenience you could ask for. Contact us today for a quote and to get started. All Storage in White Settlement offers the latest in storage facility security. We know how important your property is to you, and we go the extra mile to make sure it is safe and secure. Our facility includes a 24-hour security camera system that covers every part of the property. Our perimeter fencing is the best in the industry. We feature personalized access codes for each client to keep track of all access to the facility. We also add another layer of protection for your things by keeping our storage units climate controlled to protect against weather extremes like the Texas heat. On top of that, we offer tenant insurance and fire detection with sprinklers so you can rest easy. When storing your things somewhere other than your home or business, you want to make sure you can get to your property when you need it. We offer drive-up access for ground units for quickly getting to your things when needed. Our facility includes elevators for units not located on the ground floor. You will find plenty of carts and dollies available to help you move your things to and from your storage unit. When it comes to conveniently accessing your storage, we’ve thought of everything. Even our location is convenient. We are located near major routes like I-30 and I-820, as well as retail stores and restaurants. Get supplies you need nearby at the Home Depot, or grab some refreshment at Starbucks, on the way to your storage unit. Then hit the road. Our convenient location and operation will have you in and out in no time—and we’re close enough to service the communities of Wentworth Village, Fort Worth, River Oaks, Benbrook, and more! 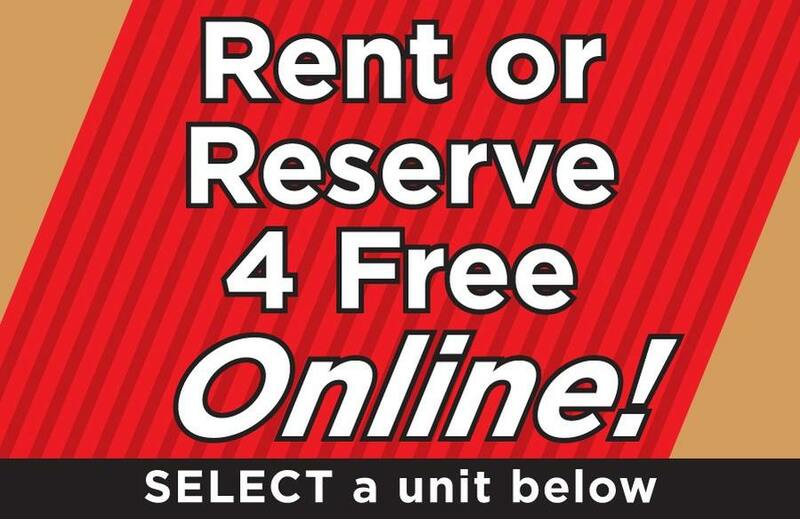 Make your storage unit reservation online or over the phone to get started right away. You can take advantage of our latest deals and offers. Our online bill pay service makes it quick and easy to get started. If you have any questions, just ask our friendly staff. Contact us today for storage units in White Settlement, TX that you need for your home or business. 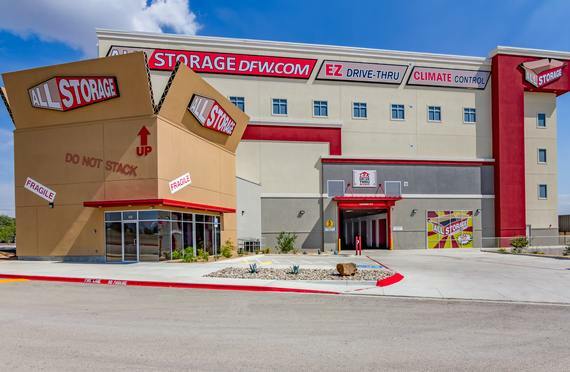 One of the main drivers of the self-storage surge is the baby-boom generation.